Discussion of Restricted Models by Spyderco. READ RULES PRIOR TO POSTING! Does anyone know if there is an ETA for this one? I searched but found nothing really useful. Why the "Restricted Models" section? I personally think restricting auto knives is a childish ploy by the government to make people think they are safer than they actually are. Just saw a post from Spyderco about the Spyderco Embassy being brought back exclusively at Bladeops! 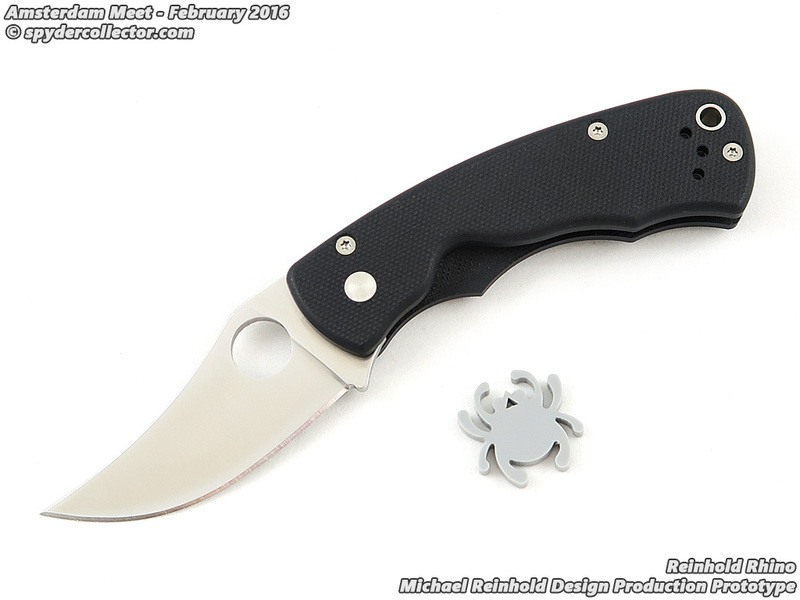 Will the Spyderco Autonomy2 be offered with a different blade steel then LC200N ? Just asking if the Spyderco Autonomy2 was their first at making a side opening Automatic knife. Can I buy a Autonomy with a blade steel other then Lc200n? How would you all like a Spyderco Balisong that had the Spyderco Rescue type of sheepsfoot blade? I need this to happen!!!!! Bring on the ORANGE!!!! I love my autonomy 2 and every time I think of buying a new knife I wonder if there will be an orange variant. It’s simply one of the best designs they make in Golden! Quick question, do you guys store your autos in the opened position to minimize spring fatigue, or does it matter? PE Autonomy and/or other knives featuring the Plunge Lock? You can expect this to get long winded so if this isn't your thing, you've been warned. Automatic/switchblade knives now to be legal on August 9, 2017. Gov. Hickenlooper signed Senate Bill 8 on March 24, 2017. Can you folks advise what the average asking price is for a NIB Citadel? Thanks in advance! How about a CA Legal Auto? Hey Sal, I know it's a really small market, but how about a CA legal auto? A Sub 2 inch blade. Please a double action knife! Spyderco is the only brand(that comes to mind)where a double action knife would make perfect sense! A automatic where the Spydy Hole isn't just for looks! Spyderco "Out the Front" or Legal Slide-Lock Model? Has there ever been an OTF spydie? Ever been plans to introduce one? Canadian Knife laws on Autonomy and Balisong/Butterfly? What are the Canadian rules on the Spyderco butterfly knives and automatic knives? Anodized Color Variations of Spyderco Balisongs? I saw a picture of a Spyderco Balisong that had some type of color pattern on the blade surface and it said this was anodized on or something. Is anyone familiar with that variation? Is Vallotton made to by Factory accept leaf spring or trigger? I’ve seen many convertible automatic kits where the knife is made to accept spring and trigger without machining. Most come with parts needed but due to laws the knife is sold as manual opening then customer can install spring and trigger. Why does Spyderco not make more autos? Do you think the recent change in Colorado knife laws will see the resurgence of automatics and balisongs? Autonomy, plain edge, don't care if it's satin or DLC, in VG10 or better, and you've got yourself a sale. I promise. I'm completely ok with black G10 but solid slabs of carbon fiber tend to make me weak in the wallet area. How do you purchase an autonomy? I love H1, wharncliffes, blacked out knives and big handles. The Autonomy has been on my radar for a year or so, but I'm not sure how to actually purchase one. Finally found my Embassy that I thought I had lost 9 months ago. Forgot how much I really like that knife. Also nice to see Michigan's Governor signed the repeal of their ban on switchblades that appears to take effect in 90 days. Re: Spyderco Spyderfly Lets see them!